Tinnitus – How Do I Stop This Ringing In My Head? Do you hear ringing, buzzing, humming, hissing, static, or crickets, when no one else does? You are not alone. As many as 30 million Americans or about 10% of the population experience some form of internal head noises that we call tinnitus. Tinnitus is the technical term given to the perception of sounds that have no external source. No, we are not talking about auditory hallucinations! Tinnitus is a real phenomenon. It may be generated by structures in the head and neck or even blood flowing near the middle ear. You may be surprised to learn that these sounds are often generated by neural activity. Some people even hear music generated in the auditory cortex in the brain! Many different factors may be involved. These may include hearing loss due to the aging process, hereditary factors or noise exposure. Even head injuries or medications can cause tinnitus. Most people with normal hearing will experience tinnitus when put in a quiet sound-isolated room. Persons who report tinnitus most often have some degree of hearing loss. So what does hearing loss have to do with tinnitus? Tinnitus is often generated as a result of damage to inner ear structures resulting from noise exposure or disease processes. We have tiny delicate outer hair cells in the inner ear that are tuned to pick up very soft sounds then amplify them. The inner hair cells then turn them into electrical signals that travel along the auditory nerve to the brain. When inner ear structures become damaged or destroyed, discordant signals may occur in the brain. This distorted neural activity may be perceived as ringing, static, hissing, or cricket-like sounds. The condition becomes most annoying when you are trying to hear the person in front of you but instead hear the tinnitus! Tinnitus cannot be just willed away or ignored. 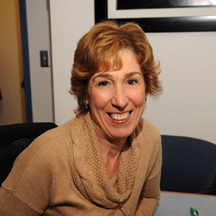 Tinnitus treatment requires caring professional help. 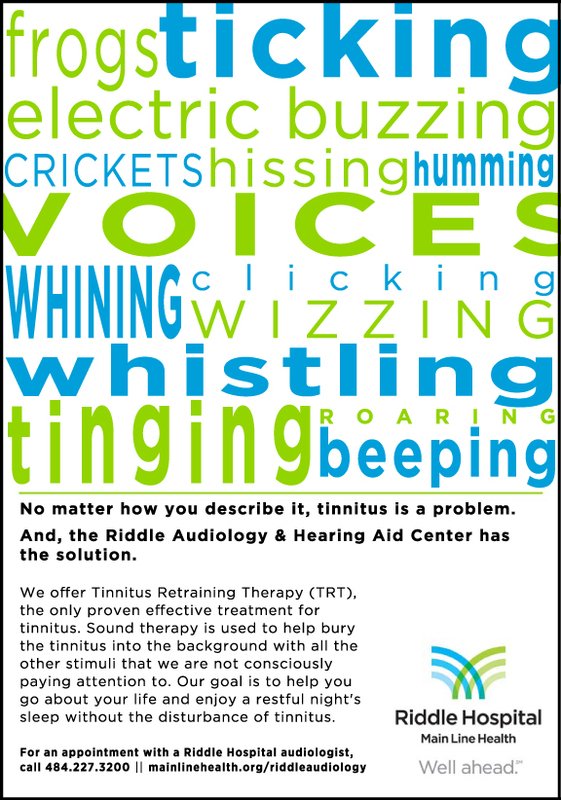 The Riddle Audiology department offers Tinnitus Retraining Therapy (TRT), the only proven effective treatment for Tinnitus. Sound therapy is used to help bury the tinnitus into the background with all the other stimuli that we are not consciously paying attention to. This process called habituation occurs without conscious effort. Treatment is successful when tinnitus no longer dominates your attention. Since in very rare cases, tinnitus may be a sign of a serious medical condition, the first step is to obtain a medical evaluation by an ENT or otologist, a physician specializing in diseases of the ear. Some specialized tests may be ordered to investigate potential causes. Once this work-up is complete and medical clearance is given, you may seek consultation with an audiologist who specializes in tinnitus treatment. Next Story → Thank You, Delaware. We’re Five Years Old!